Rhino Shield of Michigan is the exclusive installer of Rhino Shield ceramic coating and MasterShield gutter guards in Greater Ann Arbor. 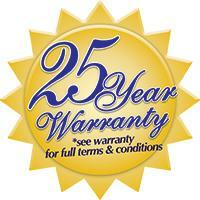 We are locally-owned and operate out of Brighton, MI. We are accredited by the Better Business Bureau with an A+ satisfaction rating. We have been recognized as a Rhino Shield Dealer of the Year. The owners of Timeless Coatings, LLC, Marc and Sheryl Mercier, have been involved with Rhino Shield since day one. Marc’s extensive career in the home improvement industry for over 20 years and their years of local experience help ensure successful coating projects. Started in 2000, Rhino Shield has grown to become a recognized leader in the premium wall coating industry. Rhino Shield was started with a simple goal: To provide the most durable and long-lasting ceramic wall coating product to once and for all end the repainting cycle. For many years, vinyl siding was the only alternative to costly exterior wall repainting. Utilizing the latest in elastomeric ceramic technology, the Rhino Shield system has been thoroughly tested by leading outside testing laboratories, including the renowned BASF Laboratories. Lab testing combined with extensive field testing over the last 15 years has scientifically confirmed the durability benefits of the Rhino Shield system. Rhino Shield has been used in over 20,000 successful installations. Rhino Shield continuously focuses on product improvements and testing with the goal of being the best choice for protecting building exteriors from destructive outside elements. 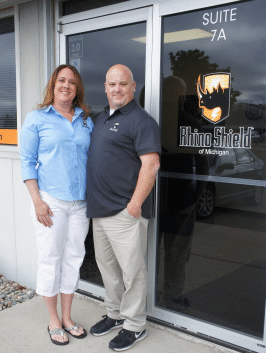 Rhino Shield of Michigan is your independently-owned Rhino Shield dealer in Brighton, Ann Arbor, Novi and surrounding areas in Michigan. We are here to answer all your questions. Feel free to call us at 1-810-360-6583. We look forward to the opportunity to earn your business.